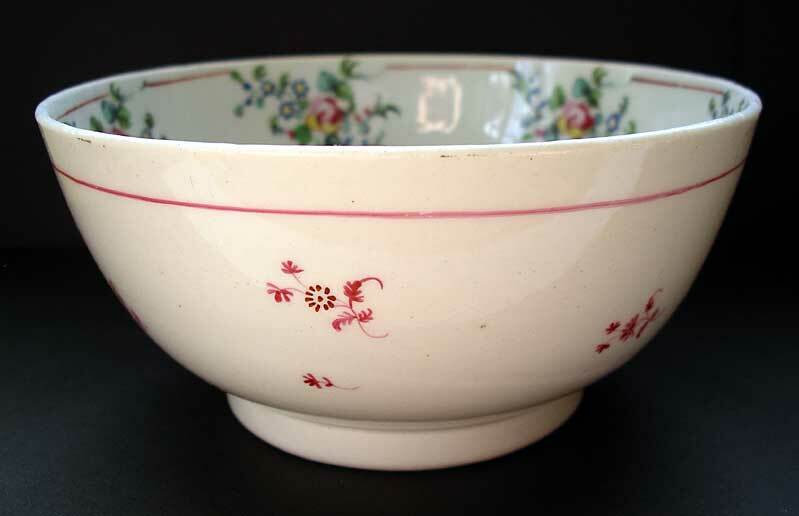 "A highly collectable English porcelain 18th century bowl. 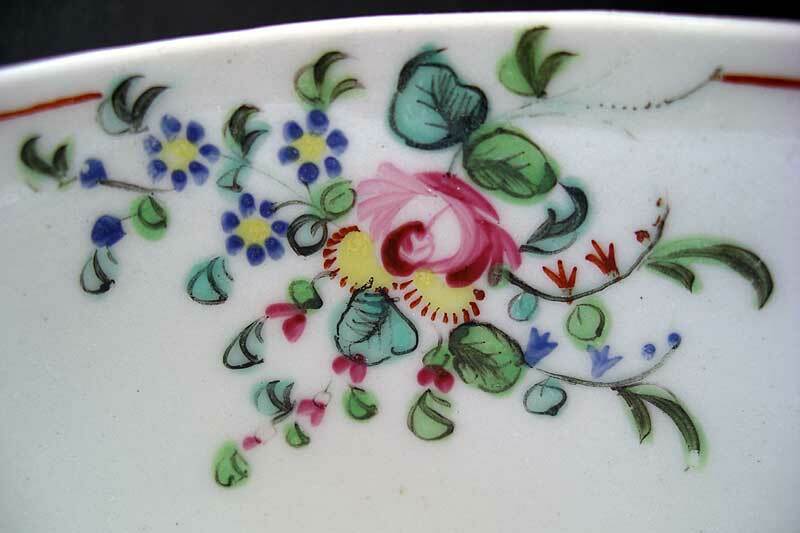 It dates from c.1790 with characteristic New Hall "cottage sprigs" polychrome decoration in Chinese famille rose palette. 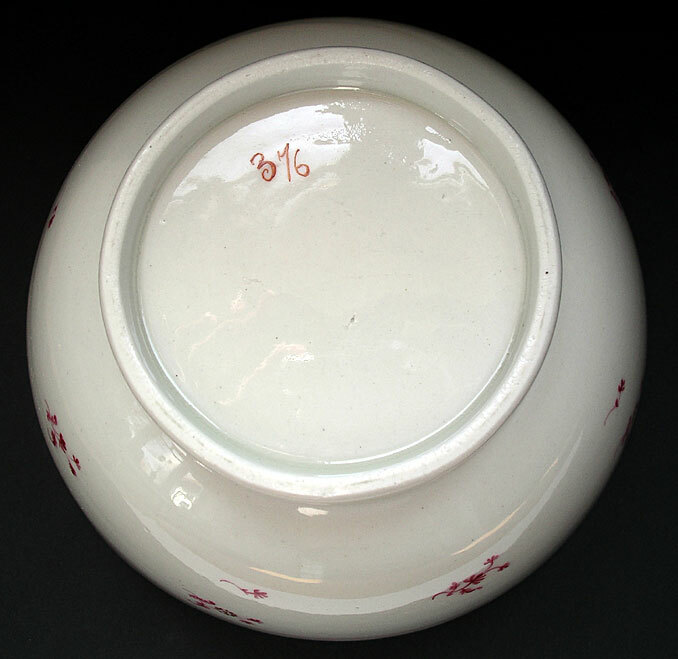 New Hall Staffordshire tea wares are always popular - this piece was probably intended as a slop bowl for tea spoons etc. Good examples are becoming increasingly difficult to find as they disappear into collections world-wide. A nice one for your display cabinet and reference collection!" Antiques Expert Hamilton Bear. Marks: pattern number as illustrated. Dimensions: height 72 mm max. width 154 mm max. Condition: very good with no restoration. 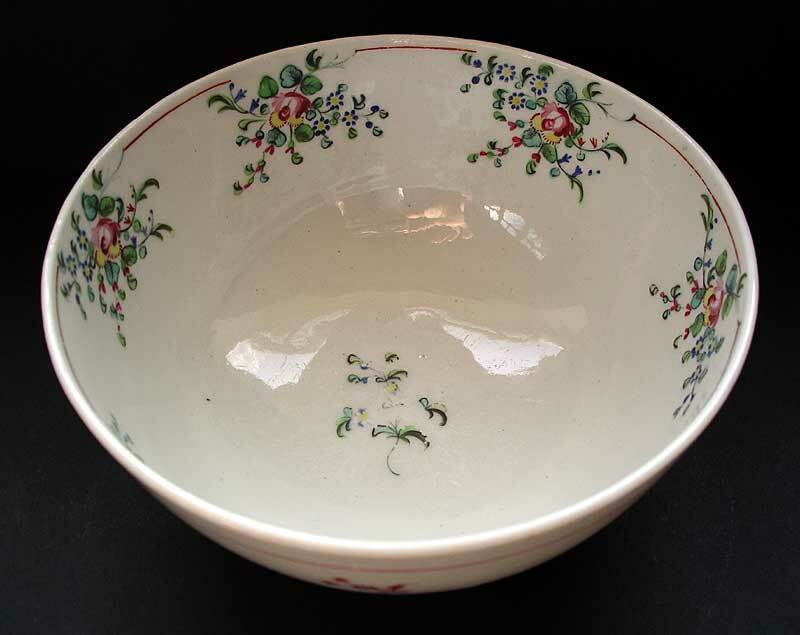 Condition report: There is some rubbing wear to minor spray in centre of bowl and a fine glaze stress hairline to base which is difficult to spot. Overall a very nice example.